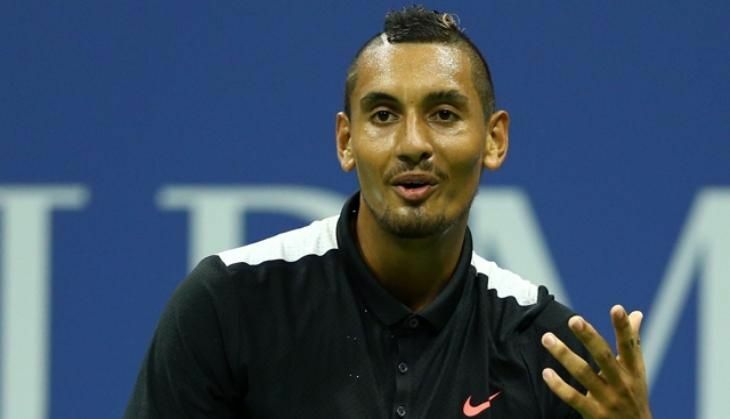 Australian controversial tennis star Nick Kyrgios has been slapped with the largest fine at the French Open for uttering an audible obscenity during his third round loss to Richard Gasquet. The 21-year-old maverick was fined USD 6,200 after tournament officials reviewed the footage of his straight sets defeat to the French opponent, news.com.au reported. The Australian, who was also frustrated with his injury, was seen shouting at his supporters to "get out of my box, I'm sick of it. Get out of my box." Recently, Kyrgios came under severe criticism from Australian Olympic Committee boss Kitty Chiller, with the latter even threatening to snub Kyrgios if he doesn't improve his on-court behaviour.